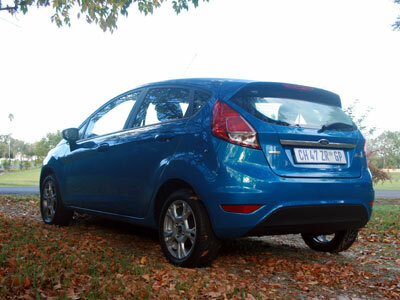 The overall impression of the new facelifted Ecoboost engined Fiesta is solid. Build quality appears to be very good and perceived cabin quality is high. The cabin is pleasant, has good space, headroom, practical cup and other holders and the ergonomics are very good. Aircon works well and the front seats should be adjustable for any size. The gears, clutch, brakes and steering are all well set up and work as expected. Acceleration is surprising. This Ecoboost engine has loads of go. I particularly liked the hill stop control. There are some who do not like the new nose. I think you will get used to it quickly. The other lines are pleasing. The general impression is of cohesiveness. I think it won’t date too quickly. 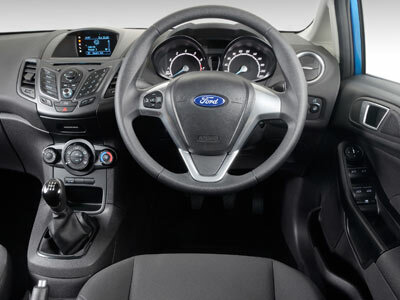 The cabin of the Fiesta is practical and pleasant. There are enough softer surfaces to counter the hard plastics. The seats feel firm, give good support and are quite adjustable, as is the steering wheel. All the controls are easy to use and are easy to find. A variety of storage spaces are provided. The sound system and info systems work well and are simple to use. This one litre turbo petrol three cylinder engine is a joy. I heard a comment that it sounds like a sewing machine. Maybe, but it goes like a bat out of hell. I quite enjoy the sound of the three cylinder motor at full song. Interestingly the engine switches off when in neutral (at a red traffic light for example) and switches on the moment you press the clutch. When the turbo kicks in she pulls better than the 1.4 engine it replaces, mostly matching or beating its 1.6 normally aspirated sisters. It’s a joy to drive. The steering and handling are to my mind the best in this segment. The brakes are very good and behaviour on the road is excellent. The engine produces 92kW and 170Nm between 1400 and 4500rpm. Thats pretty decent. Claimed fuel consumption is 4.3litres /100km. I got 6.5litre /100km, perhaps because it is such a spirited car to drive. The testers over at Car magazine got it down to 5.6litres/100km. My biggest niggle is the price. 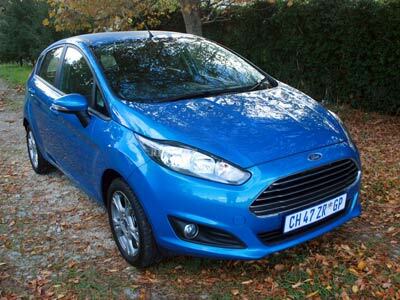 Other than the lack of cruise control the Fiesta does not have any major negatives. A little expensive, but if you want to go green, a really good option. I really liked the Fiesta. To me it is a great little car. Smooth gears, good clutch and excellent road manners. It also has good interior space and feels solid. The Ecoboost engine also packs a mighty punch. It’s just a pity about the price. I think it is a little steep. The competition comes in at R218 900 for the Suzuki Swift, R203 600 for the VW Polo 1.6 (excl extras), the Kia Rio 1.4Tec at R177 995 and the Toyota Yaris at R206 900. The era of small 3 cylinder turbo boosted petrol engine cars has dawned quite quietly. 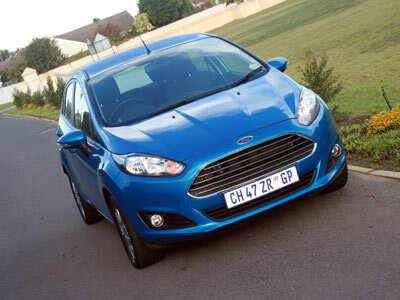 We test two of them, the luxury orientated Citroën DS3 VTi 82 and the practical Ford Fiesta 1.0 Ecoboost Titanium. In the previous edition of Your Business we discussed the change in the way we have to look at engines (and especially their capacity) with the introduction of new green technologies. Here we look at two cars which demonstrate this perfectly. 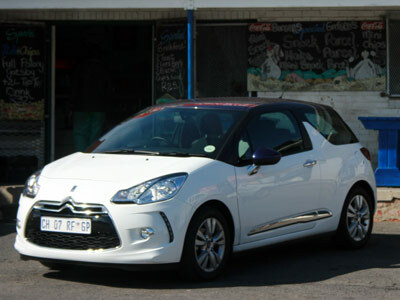 The DS range is the chic “upmarket” offering from Citroën. As such the DS3 has all the bells and whistles you would expect in a little luxury car, including cruise control, scented air freshener and automated lights. It does not have hill stop control. I never quite got the hang of the clutch and gears during the week I drove it. The clutch and the brakes take very high. I assume this is for high heels, as the DS3 is very much a ladies car with in the case of the test car a pretty eye candy two tone purple and white colour scheme. I did not like the cruise controls and remote audio control hidden behind the wheel. The car has no headroom. Some of the fit and finish seemed to be decidedly economic. The handles for the seats are flimsy. Space at the back is suitable only for pre-teens. It is also a mission to get in and out of the back. The engine is more than adequate with 60kW and 118Nm at 2750rpm. Fuel consumption is claimed to be 4.5litre /100km, but I only managed 6.5litre /100km. The overall impression of the Fiesta is solid. Build quality appears to be very good. The cabin is pleasant, has good space, headroom, practical cup and other holders and the ergonomics are very good. Aircon works well and the front seats should be adjustable for any size. The gears, clutch, brakes and steering are all well set up and work as expected. When the turbo kicks in she pulls better than the 1.4 engine it replaces. It’s a joy to drive. Claimed fuel consumption is 4.3litres /100km. I got 6.6litre / 100km. I prefer the Fiesta. To me it is the better car. Smoother gears, better clutch and excellent road manners. It also has more space and feels solid. The Ecoboost engine also packs a punch.